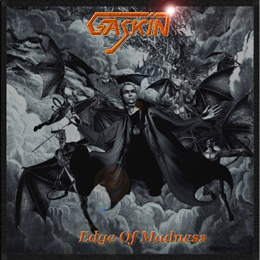 I don't know what has happened to Gaskin. An album like End of the World was a goodie, but all of the following albums had not been bad, but lacking power! At the roots, this is a classic NWOBHM-album, however, the heaviness has been downed a notch or two, and the vocals are in a clean, almost infantile Ozzy-ish vein. Depending on how you look at it, you could say it's AOR with a NWOBHM edge, or Heavy Metal with a scoop o' stinking cheese. The final outcome is a seemingly unfocused album that just doesn't gel. Why a renowned metal label like High Roller Records has such a band under contract remains a complete mystery to me.